Many of our activities can change the places just like natural forces like wind or rain do. That’s why United Nations Educational, Scientific and Cultural Organization or UNESCO protects places with natural importance. UNESCO entitles such important places as ‘World heritage sites’. Such natural sites keeps a balanced ecosystem and protects endangered species. United States is one of countries with most number of natural world heritage sites. Here 9 amazing natural world heritage sites in US. 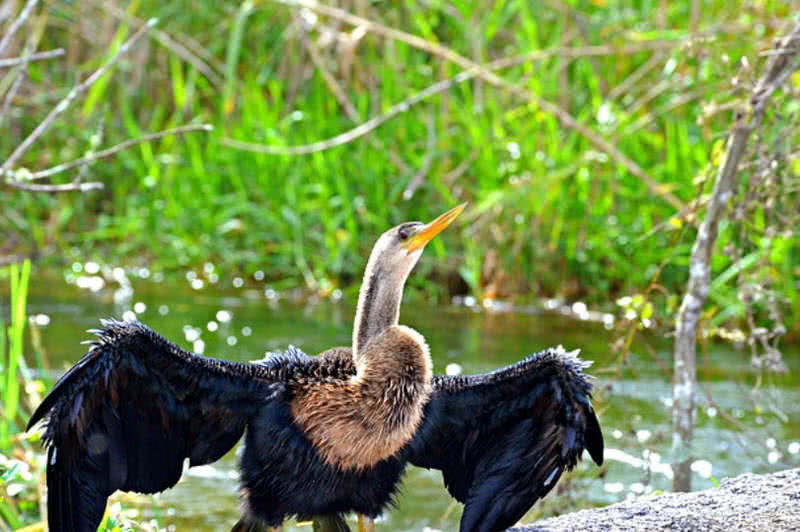 Everglades national park is a international biosphere reserve and world heritage site located in Florida, U.S. It is the largest sub-tropical wilderness in North America, spread out over 8 million acres. This national park protects vanishing everglades,a network of wetland and forest. It also become home for larger number of mammals, reptiles, fishes and birds, also protects 36 endangered species including manatee, Florida panther and American Crocodile. Everglades national park contains largest stand of saw-grass prairie in the continent. In fact it is the third largest national park in America after death valley and Yellowstone national park. Native Americans inhabited this place thousands of years ago. Today this national park attracts more than 1 million visitors every year. It is the most visited national park in United States, attracts 9 million visitors every year. This national park spread across 521.896 acres of land and protects 3500 species of plants and number of rare animals. In 1983 it certified as UNESCO world heritage site. 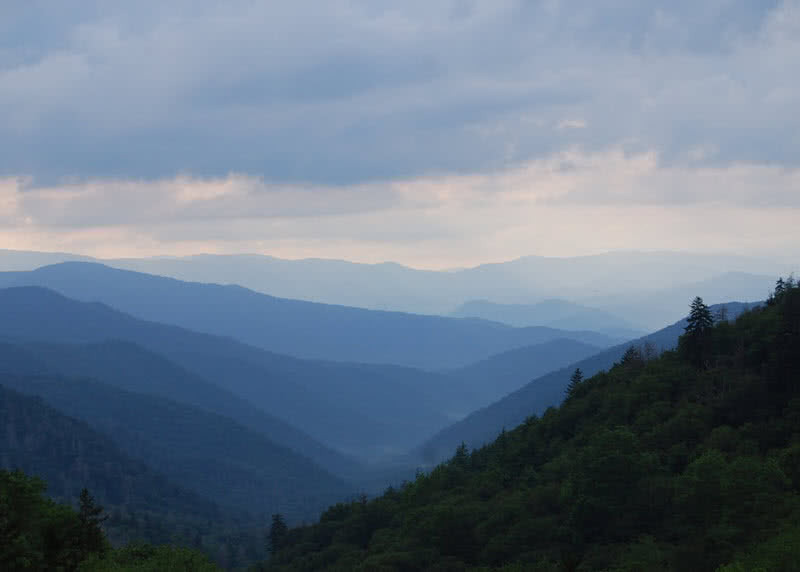 The 384 miles stretch of road through great smoky mountain national park offers scenic landscapes, mountain rivers and valleys. Great smoky mountain is a part of blue ridge mountains. The park contain blocks of old growth forest in North American continent, gets abundant rainfall and have variety of elevations. In that way the park contains 10000 species of plants and animals in total. The list includes 1400 species of flowering plants. This mountain range also contain Precambrian rocks, oldest rocks that having age of 600 million years. These rocks can reveal about a large percentage of Earth history. 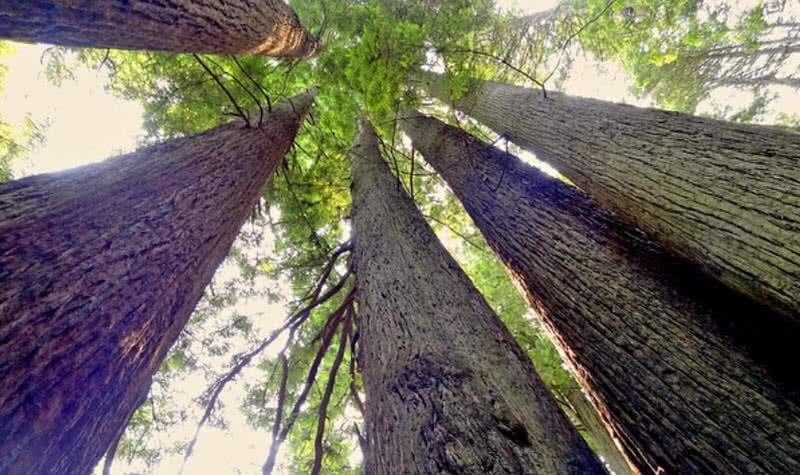 Redwood national park protects almost half of remaining coast redwood, tallest and one of massive trees in the world. They grows up to a height of 372 feet and lives hundreds of years. This park complex spread across 35982 acres of land, located in Northern California. UNESCO designated this national park as a world heritage site in the year 1980, also became international biosphere reserve on 30th June 1983. The redwood national and state park also have 55 kilometers of coastline. The coastal mountains within this national park include old growth trees and number of streams. There are 40 species of mammals, 400 species of birds, reptiles and amphibians have been documented in the forest of this national park. Redwood national park also preserve extinct species of animals such as steller’s seas lion, Northern spotted owl, tidewater goby and Californian brown pelican. It is one of the oldest cave systems in the world, contains 80 limestone caves. The limestone caves of carlsbad caverns national park in New Mexico well known for it’s diversity and beauty. It also features large calcite and gypsum formations. The 1220 meter long large natural limestone chamber within this national park in New Mexico equally remarkable. By considering these values UNESCO listed carlsbad cavern systems as a world heritage site in 1995. Until now scientist have explored 48 kilometers of passageways in this cavern system. 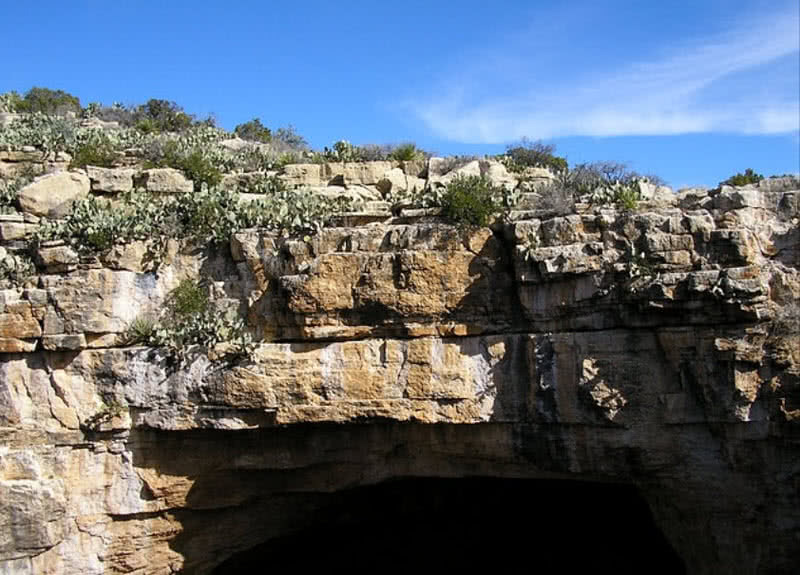 The formation of Carlsbad caverns occurred 20 million years ago by uplifting of ground. The limestone caves within this national park is a home for many microbes, also contains fossil of many ancient plants and animals. Carlsbad cavern national park also covers part of capitan reef, dates back to Permian period (geological period ranges between 250 to 280 million years). This American national park and word heritage site contains two of most active volcanoes Mauna Loa and Kilauea. This national park include 323421 acres of land. The volcanic eruption in Hawaii island leads to many geological formation and constantly changing landscape. 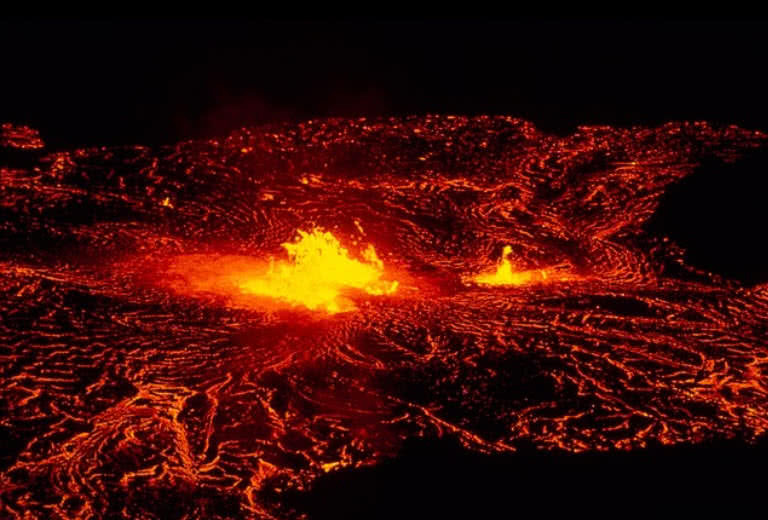 Kilauea, the most active volcano in the world have record of 50 eruption in last 33 years. The current eruption from Kilauea dates back to 1983. It is estimated that the current eruption from Kilauea volcano making lava flow at rate of 1000 – 13000 gallons per second. 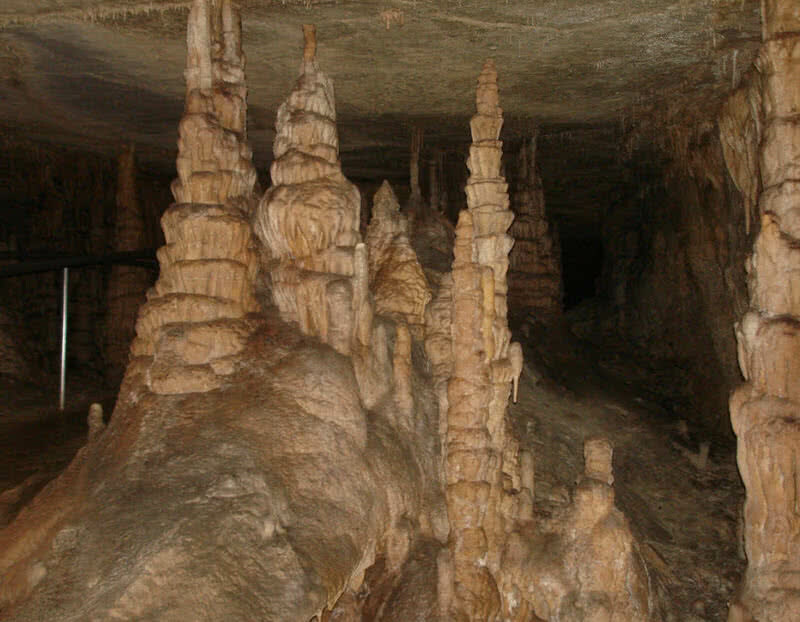 It is the longest cave system in the world, located in Kentucky state of U.S. The exact length of this cave system still unknown to the world, cave scientists have explored 400 miles of passageways until now. This cave system include variety of flora and fauna, discovered 130 species in total. It features different cavernous characteristics like stalagmites, stalactites and rare mirabilite flowers. It declared as a world heritage site by UNESCO in 1981 and became international biosphere reserve in 1990. The discovery of native American mummies from Mammoth cave revealed that human history in this cave system started 4000 years ago. All type of cave formations presented within Mammoth cave as it exhibit 100 million years of cave forming actions. The cave also protects endangered species such as eyeless cave shrimp and river mussels. 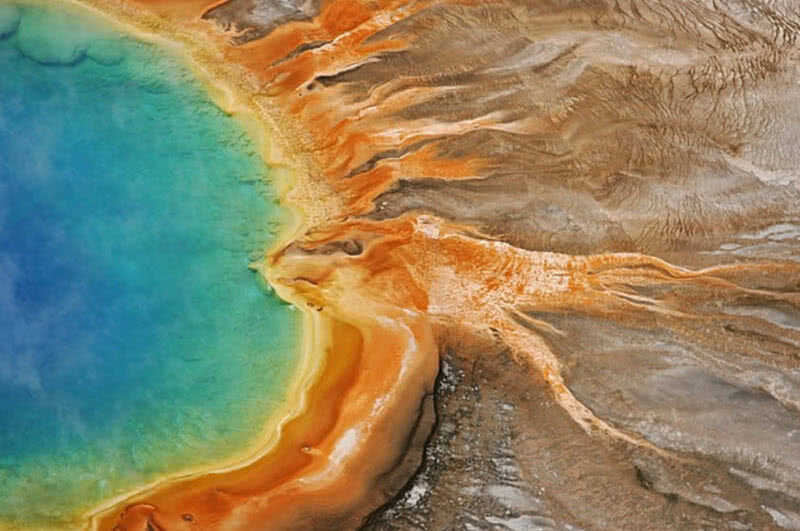 Yellowstone national park in U.S state of Wyoming have largest concentration of geysers, contains 300 geysers in total. This world heritage site also features half of all world’s geothermal features. Upon them old faithful geyser is most recognizable one, erupts every 90 minutes. It is the first ever national park in the world, dedicated in the year 1872. The fossil area within this national park contains massive footprint of dinosaurs in sandstone layers, dates back to 160 million years ago. A massive underground volcano also situated in Yellowstone national park. Besides that Yellowstone has 350 waterfalls in total, tallest one have height of 1200 feet. Many species of mammals, birds and fishes also have documented in this national park. Yosemite national park is located in U.S state of California, spans an area of 761268 acres, designed by UNESCO as a world heritage site in 1984. 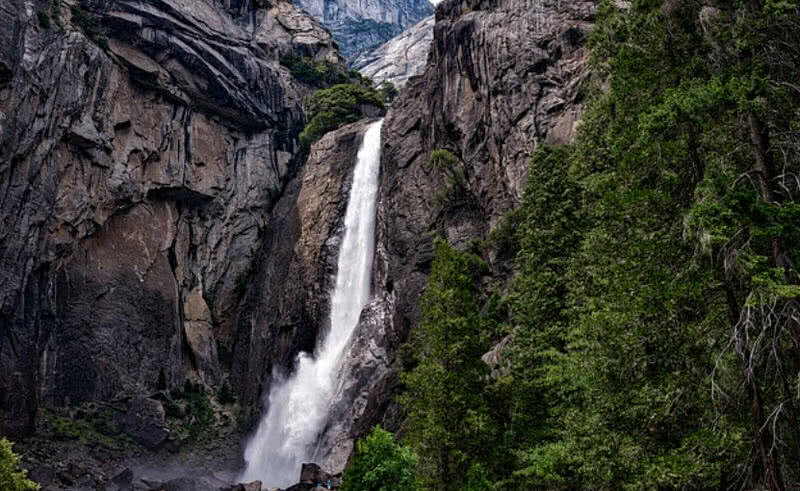 Yosemite national park is much known for it’s granite cliffs, waterfalls, lakes and valleys. The tallest waterfall in North America also located within this national park called as Yosemite falls, have height of 2425 feet. it also include great variety of wildlife such as mule deer, golden eagles, black beers and peregrine falcons. The park also contains 120 rare species of plants. The glaciation over million of years result in formation of cliffs, domes and waterfalls in Yosemite national park. It also features several rock formations.Upon them ‘EI Capitan’ becomes most challenging one for climbers, exceeds 3300 feet from base to summit. This steep-sided canyon in Arizona state is one of seven natural wonders of the world. This 277 mile long 18 mile wide canyon is carved out by Colorado river. Grand canyon became important site for research as different types of rocks discovered from there. 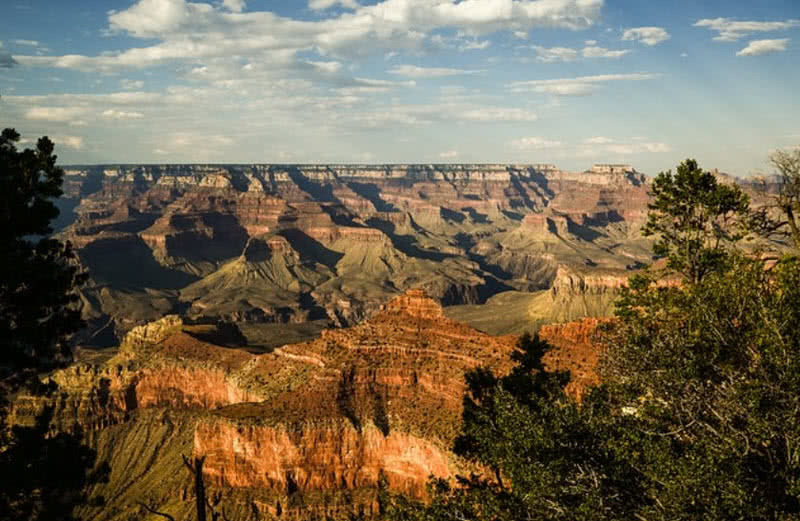 The rocks at bottom layer of grand canyon is 2 billion years old, have of age of Earth. At same time rocks found in upper layer have age of 230 million years. Grand canyon became a world heritage site in 1979. Colorado river divides grand canyon in to two sections, North Rim and South Rim. The ongoing erosion by the river also result in formation of waterfalls, high plateaus and plains. Grand canyon also contains 2600 recorded ruins, include evidence of Archaic culture (Southwestern U.S between 6500 BC and 200 AD).